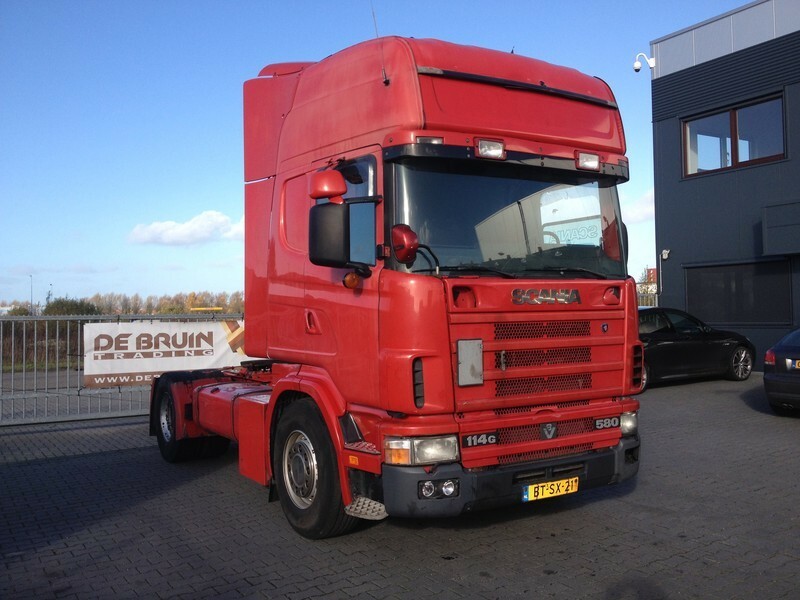 Buy Scania 164 580 Manual Retarder V8 tractor unit by De Bruin Trading B.V. The current price is 7950 Euro. The list of SCANIA tractor unit offered for sale in our catalog is constantly increased. This piece of special equipment was produced in 2004. Engine/driveline: Euro 3, diesel, 580 hp, gearbox: manual, transmission: Schaltgetriebe, retarder/intarder. The details on axles, suspension and euro norm include: 4x2, number of axles: 2, chassis side skirts. Driving cab specifics: cab type: sleeper cab, cab model: Topline, roof spoiler, sunvisor, power windows, air conditioner, parking heater, cruise control. The mileage is 999999 km.